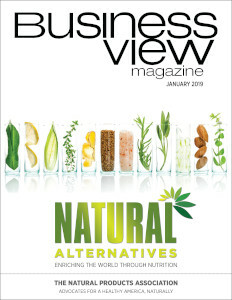 Business View Magazine interviews Kevin Ploehn, Director of Aviation & Transit at the Billings Logan International Airport – series on U.S. regional airports. The Billings Logan International Airport (BIL) is a commercial, cargo, and general aviation airport, built on a sandstone bluff, about 500 feet above, and two miles northwest of, downtown Billings, Montana. According to local legend, the first airplane flight took place in Billings on Memorial Day weekend in 1913, when a local dentist, Dr. Frank Bell, flew his Curtiss 0-X-5 from Billings to Park City and back, a distance of 40 miles. “Back in the 1920s, when flying was first becoming popular, there were little landing strips all over the valley and people were trying to come up with the best place to locate an airport,” explains Kevin Ploehn, Director of Aviation & Transit. “In 1927, the city purchased some land, the first 400 acres, for about $5,200.” Using horse drawn equipment, 1,820 feet of unpaved runway and a small administrative building were constructed on top of the Rimrocks overlooking the Yellowstone Valley and the Billings area. The Billings Logan International Airport is owned by the City of Billings, and is the only municipally-owned, commercial-service airport in Montana. 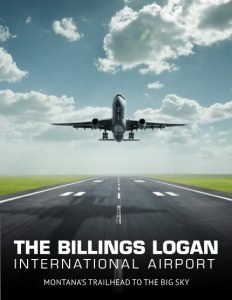 Billings Logan International Airport employs approximately 50 people and is completely self-sufficient; no City General Fund support has been received since 1975. Its commercial airlines include Alaska, with flights to Portland (OR) and Seattle/Tacoma; Allegiant, with flights to Las Vegas, Phoenix/Mesa, and seasonal Los Angeles; American Eagle, with flights to Dallas/Ft. Worth; Delta, with flights to Minneapolis/St. Paul and Salt Lake City; United, with flights to Denver and seasonal Chicago; and Cape Air, an Essential Air Service commuter airline, which operates nonstop flights with a Cessna 402 prop aircraft to Glasgow, Glendive, Havre, Sidney, and Wolf Point, all in Montana. The Airport is also home to several “top notch” aeronautical businesses, Ploehn states. “We have an avionics company called Aerotronics. People from all over the world get their avionics done here. We have a really good FBO, Edwards Jet Center. They’ve got a couple of large hangars that will accommodate up to a Gulfstream V. We have an aircraft upholstery business, Aero Interiors, here, as well. We’ve got a lot of things that accommodate the general aviation community.” In fact, businesses at the Airport provide approximately 700 jobs and, overall, the Airport contributes over $409 million, annually, to the area’s economy. “Montana’s been discovered,” Ploehn adds. “We’re seeing a lot more passengers come to Billings, and so is Bozeman, Missoula, Kalispell, Helena; and we’re all in the process of expanding our terminals to some degree. Right now, we only have five loading bridges and, during the busy times of the year, we always have seven or eight aircraft on the ground, so we have to do a lot of shuffling of people and aircraft, which isn’t in the airlines’ best interests. They like to park their aircraft and bring people in and out easily. So, we’re looking at expanding our concourse, so we can get up to eight loading bridges put in place. We’ll start that project next summer. Check out this handpicked feature on Salem Municipal Airport – Getting from A to B.
Aerotronics, Inc. is a full-service avionics installation and repair station. From fixed or rotor wing, Aerotronics has the technical expertise to address all of your General Aviation aircraft needs. In addition, our Experimental Division can help you with designing and building a Plug-n-Play panel for your kit plane.